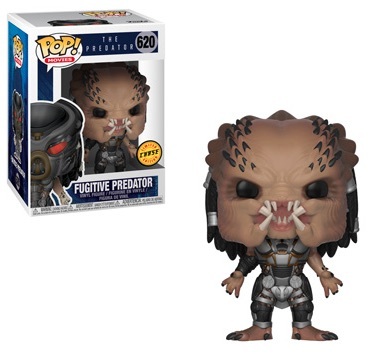 It hunts for sport but fans collect Funko Pop Predator for pleasure. 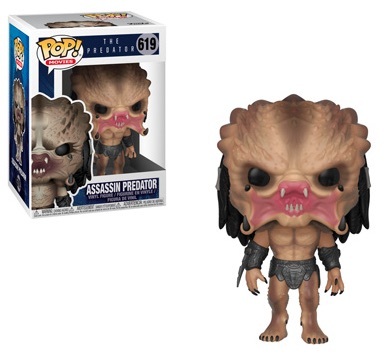 The series features a handful of options, including a few exclusive figures from the film Predator. 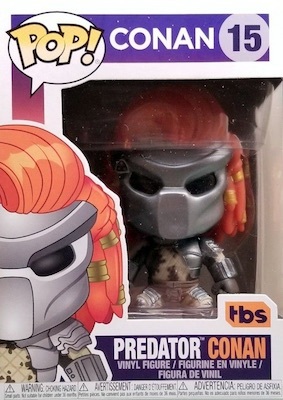 Starring Arnold Schwarzenegger, the 1987 movie Predator may not have been the blockbuster executives hoped for, but the sci-fi quickly gained a loyal following who helps maintain its cult-classic status. 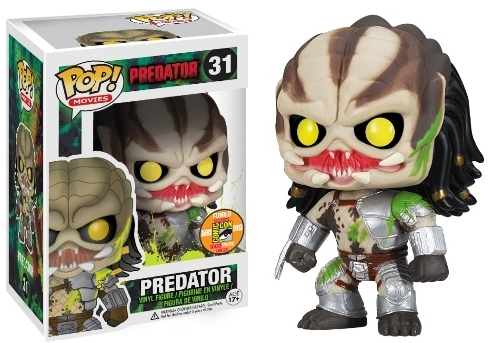 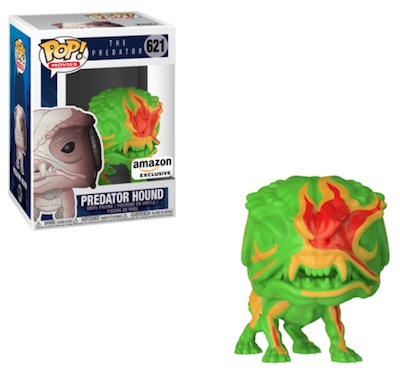 Funko Pop Predator offers a small-size replica of the advanced species as the main option is unmasked, revealing its large yellow eyes. 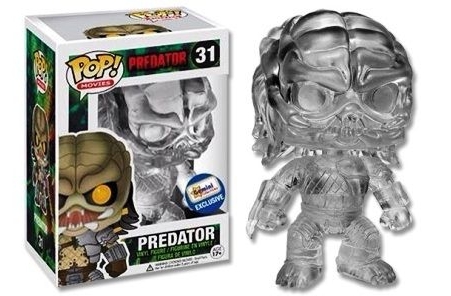 Slightly lighter in color, 2013 San Diego Comic-Con issued a Predator bloody (yes, it's green!) 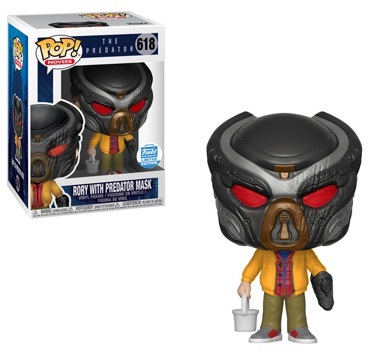 exclusive variant. 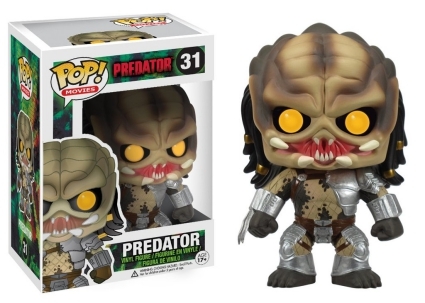 Buy Funko Predator Figures on Amazon. The alien, also known as Yautja, is known for being able to camouflage itself during the hunt, most notably is the ability to seem nearly invisible, and collectors can find Funko Pop Predator retail exclusives reflecting this skill. 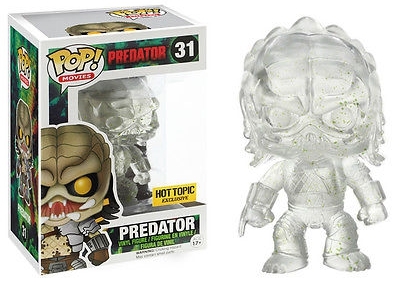 The Predator clear option is issued through Gemini Collectibles while a clear blood-splattered variant can be found at Hot Topic outlets. 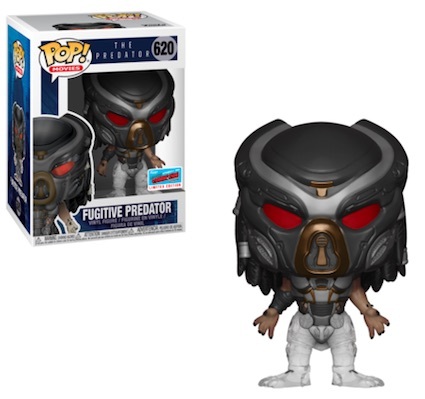 Fans and collectors of the Predator franchise can track down the Predator masked version, featuring a silver helmet with its iconic "dreadlocks" visible, through the Funko Specialty Series. 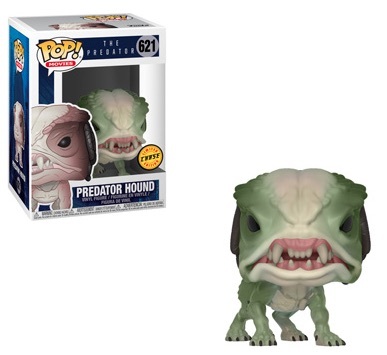 Additionally, two Pop! 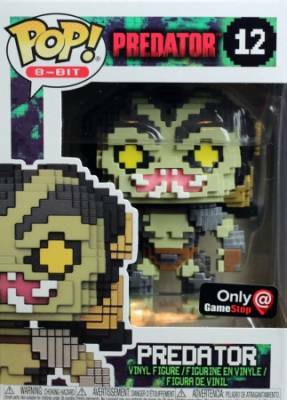 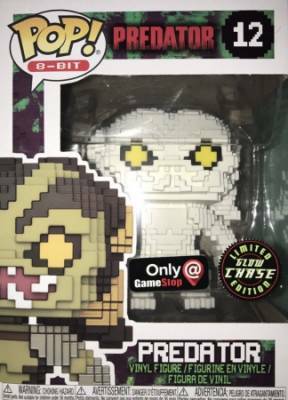 8-Bit versions were released in the 2017 GameStop Black Friday Mystery Box including a glow-in-the-dark chase (1:5 boxes). 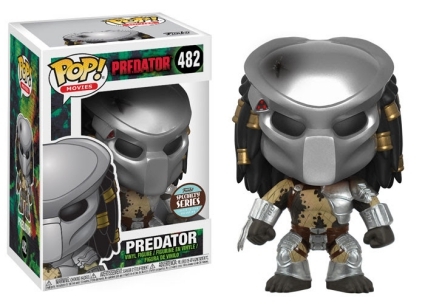 In 2018, new Funko Pop Predator figures were issued for The Predator, the fourth film in the main franchise. 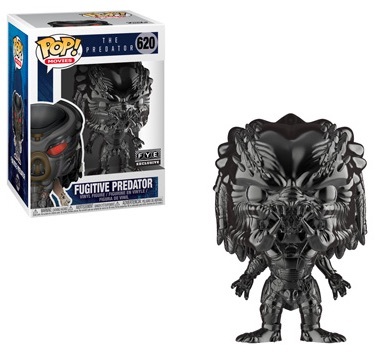 620 Fugitive Predator - 2018 NYCC/BAM! View more information for Predator figures with our related Funko guides.